By Dr. Patrick Slattery — The core argument against President Donald Trump’s executive order restricting immigration from seven problematic Middle Eastern countries is that it may discriminate against Muslims. That some Christians from Syria or elsewhere may wind up getting preferential treatment is tantamount, according to this argument, to the establishment of a religion in violation of the First Amendment to the Constitution. The fact is that, at least in recent decades, America has provided preferential treatment to a particular religious group, and it sure ain’t Presbyterians! Below I quote from H.R.4681 of the 106th Congress, which was passed as Public Law No. 106-378 on October 27, 2000.
population and their immigration to the United States. members of a persecuted alien minority group). SEC. 2. ADJUSTMENT OF STATUS OF CERTAIN SYRIAN NATIONALS. of an alien described in paragraph (1). So here you have it. A law passed by Congress that specifically gave preferential treatment to one religious group from Syria — the Jews — over all other groups, namely Muslims and Christians. Ten years earlier, an amendment to H.R.3743 – Foreign Operations, Export Financing, and Related Programs Appropriations Act, 1990 opened the door to a tsunami of Jews from the former Soviet Union. This is commonly known as “The Lautenberg Amendment,” not to be confused with another Lautenberg Amendment concerning gun rights. basis for concern about the possibility of such persecution. alien established under paragraph (1)(A). 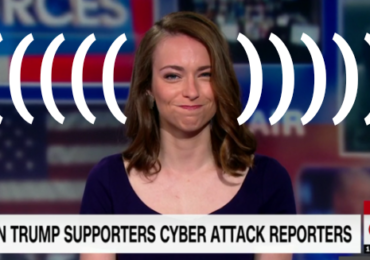 Julia Ioffe, who wrote a hit piece on First Lady Melania and insinuated that President Trump and Ivanka have a sexual relationship, is one of the hundreds of thousands of Jews who benefited from the Lautenberg Amendment… and Jewish privilege in college admissions… and Jewish nepotism in hiring. Those covered by the Lautenberg Amendment are eligible for Special Cash Assistance and for Federal Public Assistance Programs including, but not limited to, Social Security, Medicaid, Food Stamps, and Temporary Assistance for Needy Families. While the Immigration and Nationality Act requires prospective refugees to establish a well-founded fear of persecution as individuals, Soviet Jews simply qualified as refugees based on their identification as Jews. Previous Post Dr. Duke and Eric Striker Expose the Jewish NeoCon Commies Like Bill Kristol advocating the Destruction of White People! Next Post Dr. Duke and Mark Collett of the UK expose the JEWdicial coup in overturning the rights of the President of the United States and the American Elected Government. Great Show! Donate a dollar to Tulsi Gabbard! Put the Democrat’s only voice for peace on the debate stage! Trump Fires Useless Bee-itch Kirstjen (sic) Nielsen: We did it!!! Silent Night – Holy Night – The most meaningful Time of the Year to European Peoples! Dr Duke Speaks for Peace to 50,000 Syrians in Damascus! The Amazing Dr. David Duke On TRS Southern AF – The Purpose of Life! Merry Christmas! — The Biggest Celebration of the European People’s World Wide! Dr Duke & Mark Dankof – Congress Hates White Nationalism & Loves Jewish Supremacism! Dr Duke & Atty Augustus on a Jewish Expose of the Jewish Golem of Mass Immigration Against the West! Dr Duke 1st Part of “If I Run for President Series! – MY Vision For a Health Care Revolution!